Search Comal County, TX property records by Owner Name, Account Number, or Street Address. Pro members in Comal County, TX can access Advanced Search criteria and the Interactive GIS Map. All members can search Comal County, TX appraisal data, and print property reports that may include gis maps, land sketches, and improvement sketches. Delinquent Tax Data is available in bulk. Members can search Comal County, TX certified property tax appraisal roll data by Owner Name, Street Address, or Property ID. 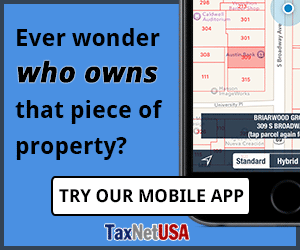 TaxNetUSA members with a Comal County, TX Pro subscription can search both certified and preliminary appraisal data by Year Built, Square Footage, Deed Date, Value Range, Property Type, and many more advanced search criteria. All members have the ability to download search results *. Appraisal Data for Comal County is up to date as of Sep 6, 2018. Custom bulk data is available. Please contact us for a quote. Property GIS Maps are displayed on property detail pages in Comal County, TX for all registered members (where available). Land Sketches, where available in Comal County, TX, are small drawings showing the outer dimensions of the property. Land Sketches are useful in determining the perimeter and square footage of a property, and are especially helpful to Surveyors, Appraisers,	Foundation Repair companies, Lawn Care businesses, and Insurance Agents. Improvement Sketches, where available in Comal County, TX, are small drawings showing the outer dimensions of the improvement found on the property. These are usually residential homes, but sketches for some commercial buildings may be available. Sketches are useful in determining the square footage and footprint of a building or improvement. Sketches are useful to Residential Appraisers, Foundation Repair and Lawn Care businesses. View a sample sketch report. TaxNetUSA offers solutions to companies that need Delinquent Property Tax Data in one or more counties, including Comal County, TX, and want the data in a standard form.